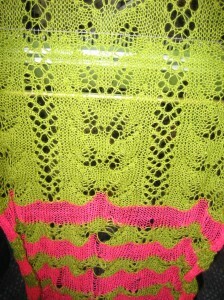 The first half of the shawl as it appears on the machine in the process of being knit after several false starts. Gaping holes were typical of potential stitch “drops”. 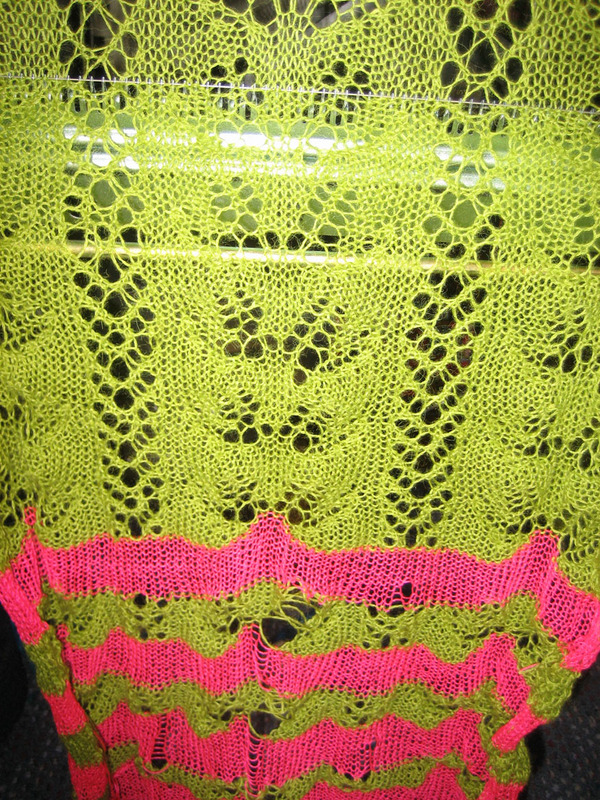 Yarn was knit at loose tension for the effect, in turn resulting in gate peg issues at intervals, but tolerated the lace transfers and hook up problems without breaking, an absolute necessity in a piece such as this. Studio brand ribber comb provided the best source of even weight. Next Next post: On the blocking board.